This time of year my favorite dessert is pie. Not just any pie — but homemade delicious pie. The kind of pie Grandma makes. Since I don’t have my Grandma around anymore to bake pies, and my life is so hectic, I have to rely on a more… convenient way to get pies. Luckily, Mrs. Smith’s Signature Deep Dish pies (who had to be somebody’s grandma, right?) fit the bill. I’ve actually been quite fond of Mrs. Smith’s pies for years, but they have outdone themselves with the deep dish pies. Can someone say, “Comfort food!”? They do remind me of home. Yummy! The hardest decision will be to decide which one I want to try first! I’m thinking I will bake the cherry pie with butter fudge sauce and the pumpkin with cream cheese icing for Christmas here in our home, and bake the dutch apple pie with caramel sauce, and the peach pie with cream cheese icing to take to my mother-in-law’s on Christmas Eve. I really love how you can customize these pies. I can give my son a slice of the dutch apple without caramel sauce, and add extra sauce to mine. It’s time like these that I hate I’m counting calories. I can try a small slice of each, though. I mean everyone knows that calories don’t count on Christmas. Just saying. I will enjoy watching family and friends enjoy Mrs. Smith’s Signature Deep Dish Pies. I know without a doubt that will put a smile on my face and not add an ounce to my waist. I have some great news! I am giving away a Prize Pack containing a $50 Williams-Sonoma Gift Card plus 1 Coupon for a Free Mrs. Smith’s Signature Deep Dish Pie to one of my readers, courtesy of the makers of Mrs. Smith’s Deep Dish Signature Pies. Nice, right? Mandatory: Just leave a comment below telling me which of these pies you look forward to trying the most and what you will buy with the Williams-Sonoma gift card if you win. Like Mrs. Smith’s on Facebook and leave another comment telling me you did it. Follow Mrs. Smith’s on Pinterest and leave another comment telling me you did. Like Blog by Donna on Facebook, leaving yet another comment telling you did it. Follow me on Twitter, and leave yet another comment telling me you did. Ends 11:59 pm EST, 12/21/12. Winner will be drawn by Random.org. Good luck! Check out these retailers to see if they carry Mrs. Smith’s Signature Deep Dish Pies. Rules: This giveaway is neither sponsored nor endorsed by Facebook and/or Twitter. Giveaway is open to residents of the United States, 18 years of age and over. Giveaway ends at 11:59 PM on 12/21/12. Winner has 48 hours to respond to winning email or a new winner will be chosen. 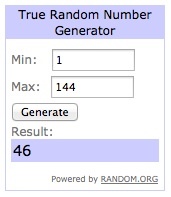 Congratulations to commenter #46, Kelly D!!! Would love to win this! Who doesn’t love pie!! Cherry Pie with Butter Fudge sauce sounds a-maz-ing! Not sure what I would buy, but it would probably be for my hubby. He has been depressed lately because he can’t find a job. Like Mrs Smiths on Facebook! Like Mrs Smiths on Pinterest! I’d like to try Signature Deep Dish Pumpkin Pie with Cream Cheese Icing. Le Creuset Heritage Stoneware Square Dish would be great to get. I would get the apple with butter fudge sauce. My wife would be responsible for the gift card. I want to try this pie first-The Signature Deep Dish Dutch Apple Pie with Caramel Sauce! I forgot to leave the comment for what I would get a Williams Sonoma. I would get a Colander, a bowl and few silicone spoons! I liked Mrs. Smith on Facebook. I liked Mrs. Smith on Pinterest as Karen Glatt. I Like Blog by Donna on Facebook as Karen Glatt. I follow Blog By Donna on Twitter as @KGlatt. I would like to try the Cherry pie. I would probably buy a new roasting pan. Thanks for the opportunity! I am looking forward to the Dutch Apple PIE! Mandatory: Just leave a comment below telling me which of these pies you look forward to trying the most and what you will buy with the Williams-Sonoma gift card if you win. I want to try the Signature Deep Dish Peach Pie with Cream Cheese Icing. I want to buy several sets of pancake molds, they are adorable. Followed Mrs. Smith’s on Pinterest and leave another comment telling me you did. Followed you on Twitter, and left yet another comment telling me you did. I would try the Signature Deep Dish Dutch Apple Pie with Caramel Sauce. I would give the gift card as a gift. I Like Mrs. Smith’s on Facebook . I Like Blog by Donna on Facebook. I follow Blog by Donna on twitter as mt4cb. I would love to try the Signature Deep Dish Peach Pie with Cream Cheese Icing! At Williams Sonoma, I would purchase new cookie sheets. I follow Mrs Smith’s on Pinterest! My favorite Mrs. Smith’s Pie is the Signature Deep Dish Pumpkin Pie with Cream Cheese Icing!!! I want to buy the Multi-Purpose Stainless-Steel Kitchen Shears from Williams-Sonoma for my wife!!! I follow Mrs. Smith’s on Pinterest! Their Helpful Hints section rocks! I like Blog by Donna on Facebook! You do great giveaways! I Like Mrs. Smith’s on Facebook. I would like the Deep Dish Dutch Apply pie. With the gift card, I would share it with my family. I Follow you on Twitter as BHONEYMC. I would love the peach with the cream cheese icing. I would love to try the Signature Deep Dish Pumpkin Pie with Cream Cheese Icing! And what I would like to get at Williams Sonoma is the NEW Cuisinart Mini-Prep Plus Food Processor, 3-Cup! It is on sale right now for $39.99. I liked Mrs. Smith on Facebook as Julie Wood. I liked Mrs. Smith on Pinterest as JewelWood. I follow Blog by Donna on Facebook as Julie Wood. I follow you on Twitter as @JewelWood. I’d like to try the dutch apple with caramel sauce. If I win the gift certificate I’d put it toward a panini press. I’d like to try the pumpkin with cream cheese icing. And if I won the gift card, I’d buy a couple of silpats. Thanks for the chance! Liked Blog by Donna on Facebook. I’d like to try the Dutch Apple- the topping looks so good! From Williams-Sonoma I woul get a mini muffin pan. The perfect size for kids, and I have always wanted one! I’d like to try the Peach…and I’d buy a baking dish. Would love to try the Signature Deep Dish Dutch Apple Pie with Caramel Sauce…and I would buy some new dishes! I would love to try the apple pie & I would buy OXO Pop Stainless-Steel Containers with my gift card!! Deep dish cherry please! Thanks! I would buy measuring cups! I liked Mrs. Smith’s on Pinterest! Thanks! I was already a fan on Facebook! Thanks! I already followed you on twitter! Thanks! I would choose the Pumpkin Pie with Cream Cheese Icing because it sounds amazing! I would get the Cephalon Contemporary Nonstick Dutch Oven if I won. I would like to try the apple with butter fudge. I follow Mrs. Smith’s on Pinterest. I want to try the dutch apple with caramel sauce. My wife will use the gift card to buy dishes or something. Pumpkin Pie with Cream Cheese Icing. Emile Henry Caramel Ombre Loaf Pan.